Enjoy Epic Sword & Sorcery Fantasy for just 99 cents! Haunted by his past. Hunted in the present. Uncertain what is real.Athson has seen things that aren't there and suffered fits since being tragically orphaned as a child at the hands of trolls and Corgren the wizard. When a strange will mentioning a mysterious bow comes into his possession, he's not sure it's real. But the trolls that soon pursue him are all too real and dangerous. And what's worse, these raiders serve Corgren and his master, the hidden dragon, Magdronu, who are responsible for the destruction of his childhood home. Athson is drawn into a quest for the concealed Bow of Hart by the mystic Withling, Hastra, but he isn't always sure what's real and who his enemies are. With Corgren and Magdronu involved, Athson must face not only frequent danger but his grasp on reality and the reasons behind his tragic past. Enjoy an epic sword & sorcery novel where myths & legends change the course of a young ranger's life and propel him on a quest into both his past and his destiny. “P.H. Solomon writes with energy and emotion so you are easily caught up in not only Athson’s quest, but the reasons that have brought all the characters together. Well done! 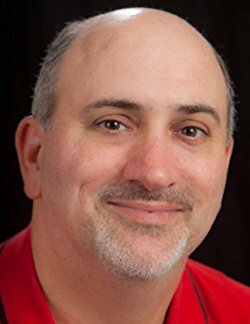 I truly enjoyed reading the story and can’t wait for more.” from Melinda Hills – 5 Star Rating"
​ What readers say: "Unique, complex and riveting.."
"...one can almost see the trail, and fear the Trolls." Discover a story of epic fantasy! Buy An Arrow Against the Wind and continue the hunt! Available for the introductory price of 99 cents! P. H. Solomon writes fantasy where the elements may sound familiar but the story doesn't follow well-trod paths. 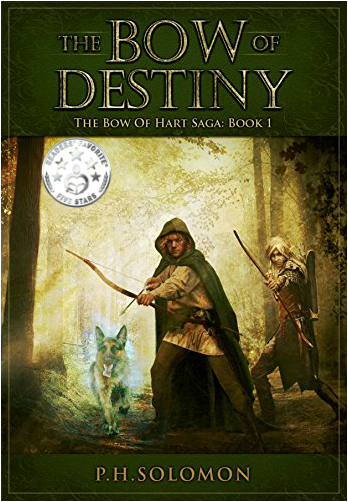 The first book of his debut series, The Bow of Destiny, is currently available. He has two speculative fiction anthologies upcoming. The next two books in the series, An Arrow Against the Wind and The White Arrow, due out in September of 2016 and late 2016 or early 2017 (tentatively).